Special Collections, established July 1966, houses the Library’s rare books, manuscript collections, historical photographs, maps and the University Archives. The Department’s major purposes are to acquire these materials, make them available for use, and preserve their integrity for future generations of students and scholars. 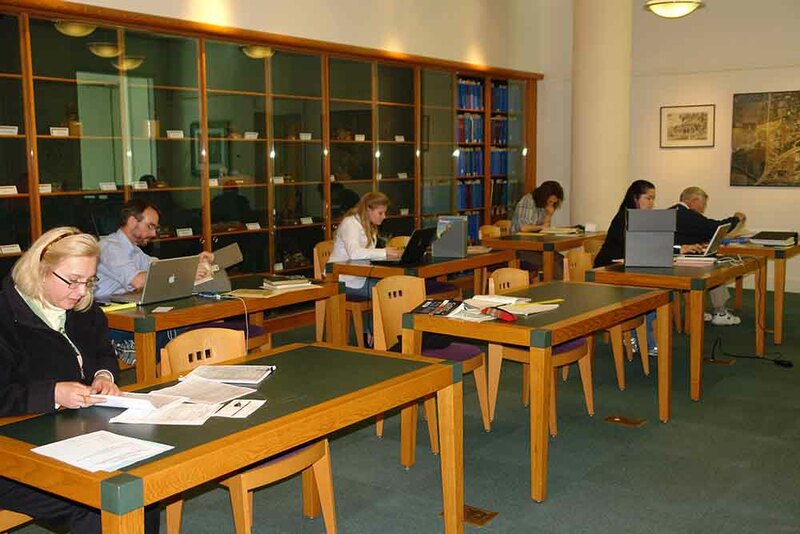 Our collections have grown to more than 183,000 volumes and 17,000 linear feet of archives and manuscript collections, as well as other related materials that are available for research and instruction. The Special Collections Department houses the J. Richard Blanchard Rare Book Collection with strengths in agriculture, American and British literature, apiculture, botany, British history, entomology, religion, viticulture and enology, and zoology. A major focus of the collection is the history and culture of California’s Central Valley and surrounding regions, including the Eastman Photograph Collection of over 13,000 images of northern California. The department holds a major research collection on the history of agricultural technology, the F. Hal Higgins collection. Other important collections in the agricultural and food sciences include the A.W. Noling Hurty-Peck Beverages Library, the Ferry-Morse Seed Company archives, and fruit crate label collections. Viticulture and enology collections support major programs at the University of California, Davis, and include the Maynard A. Amerine papers, the Bureau of Alcohol Tobacco and Firearms archives on California wineries, and wine label collections. Special Collections houses a number of research-level collections in the humanities, such as the personal papers of Pulitzer Prizeâwinning poet Gary Snyder and the Kohler British Poetry Collection. There are especially strong holdings in 20th-century experimental theater including the archives of the San Francisco Mime Troupe and the Living Theater. The department holds significant collections supporting the study of the political and social movements of the 19th and 20th centuries including radical politics, as well as the contributions and history of women, the LGBTQIA community, Native Americans, African-Americans, Asian-Americans, and Chicana/os. On June 22, 1994 the Special Collections Reading Room was dedicated as the Blanchard Reading Room in honor of University Librarian Emeritus J. Richard Blanchard and his wife, Christine Blanchard. J. Richard Blanchard (1912-1996) served as the University Librarian from 1951 until his retirement in 1974. Christine Blanchard (1907-2005) was active in community activities which included serving on the Davis Board of Education from 1962-1974 and as the first president of the Yolo Family Service Agency. On June 14, 1974, the J. Richard Blanchard Rare Book Collection was dedicated in recognition of his distinguished achievements as University Librarian. Special Collections also holds the Christine H. Blanchard Rudyard Kipling Book and Pamphlet Collection. Special Collections welcomes students, faculty, and members of the general public that follow our regular Reading Room rules. Please also see our and Access and Policies pages for further information about using the collections in the Reading Room.